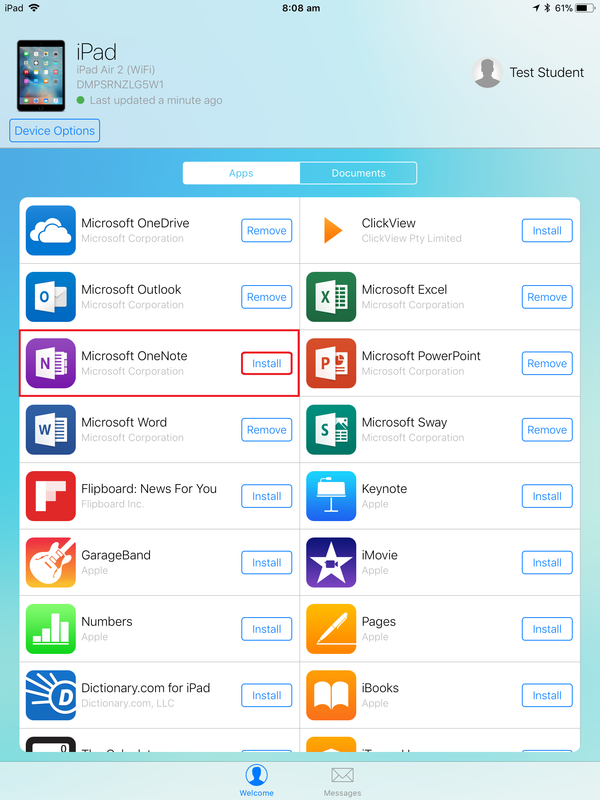 How do I download OneNote on my iPad? 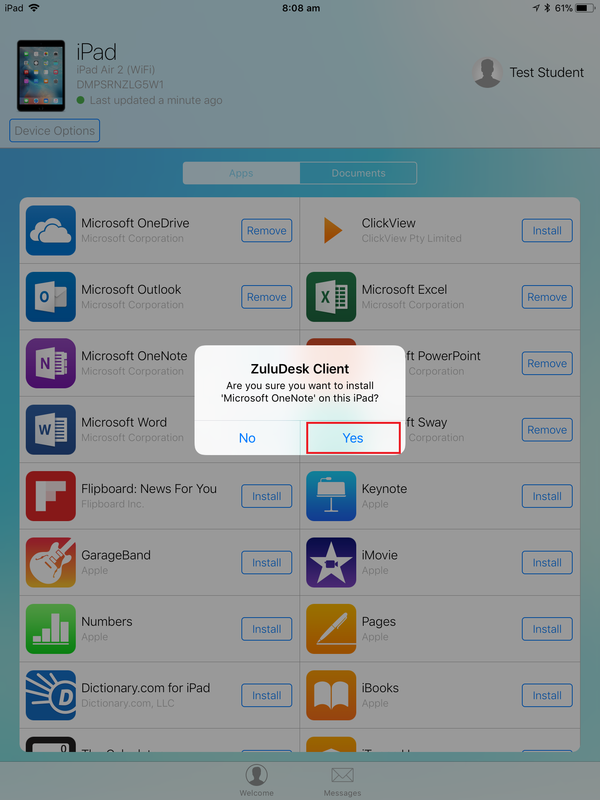 OneNote is a cloud based application available from ZuluDesk Client. 2. Click on the Install button beside the name of Microsoft OneNote. 3. Select Yes to install Microsoft OneNote. 4. Please stay on the page until it finishes install. 5. Microsoft OneNote is now ready on your home screen now.